Add a whole new level of excitement to your game! 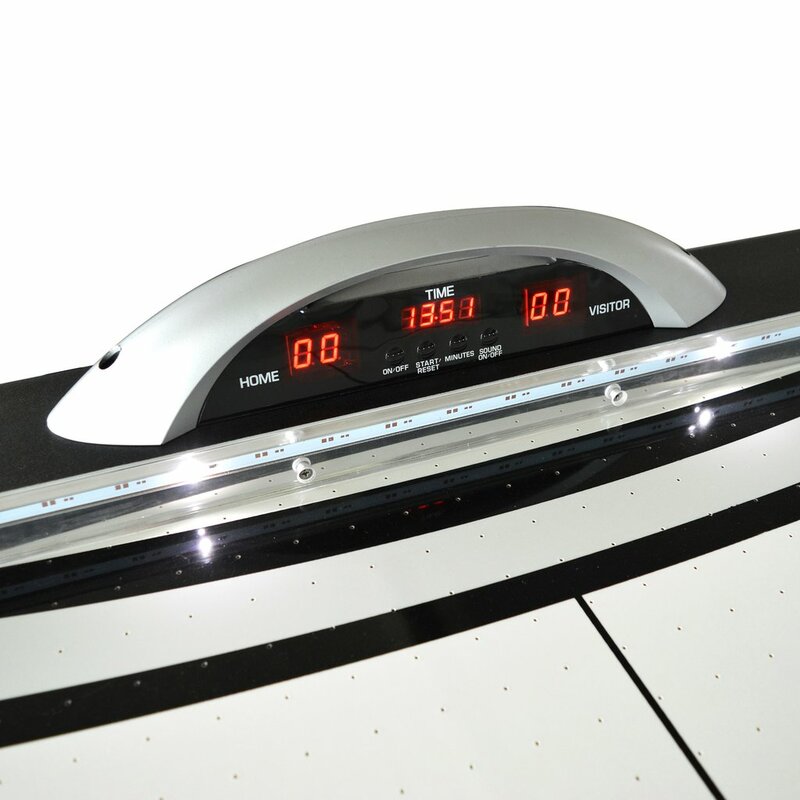 Rock out to your own tunes while playing the fast and furious Stratosphere 7.5-ft Air Hockey Table. 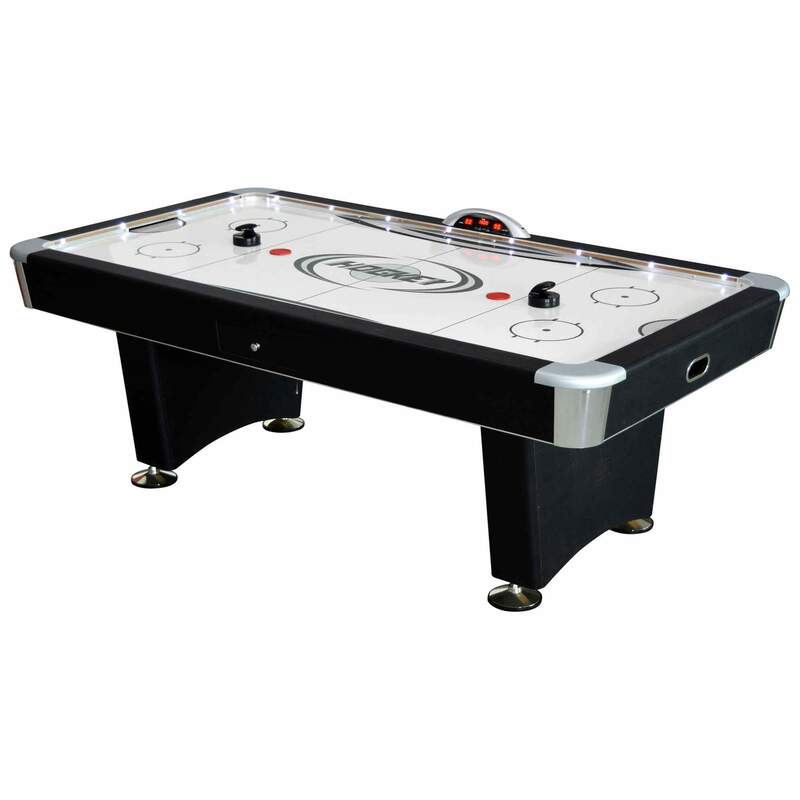 This dynamic table combines sleek modern lines with high quality components and technology to create one of the most innovative "Pro Level" air hockey tables on the market today. The Stratosphere features unique LED electronic scoring with sound, side rail LED trace lights, a docking station and built-in leg speakers that allows you to play your music while enjoying the ultimate game experience. 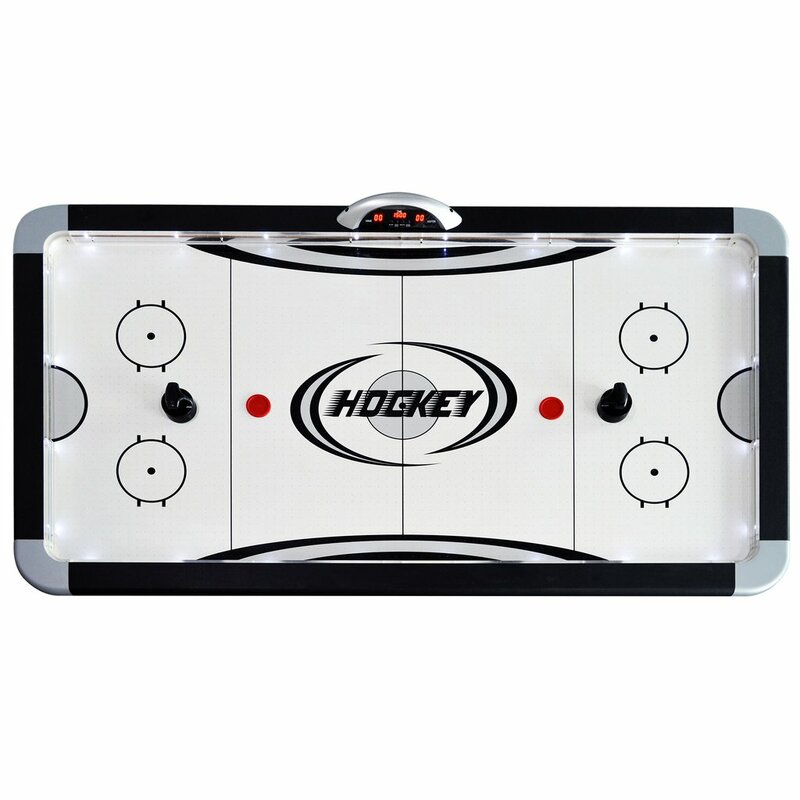 Additional high-end features include: MDF cabinet covered in Black melamine, heavy-duty dual pedestal construction, pro-style high-density ABS rails, slick, high-speed play surface, premium grade blower, timer, and multiple game settings. 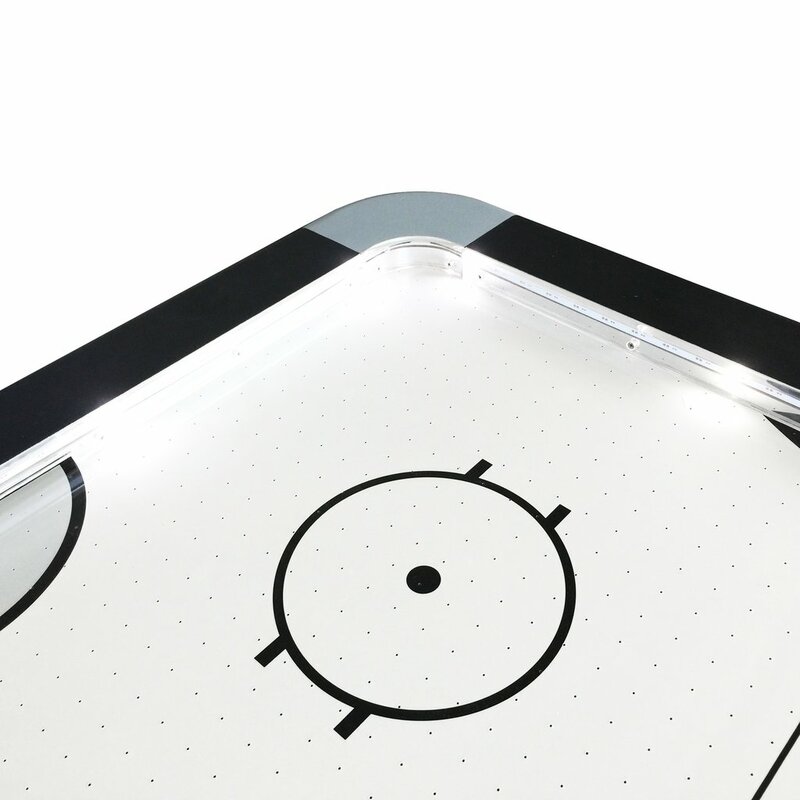 The Stratosphere is an air hockey table unlike any other. Table includes four 3.75-in black strikers and four 2.5-in red pucks. 180-day limited warranty. 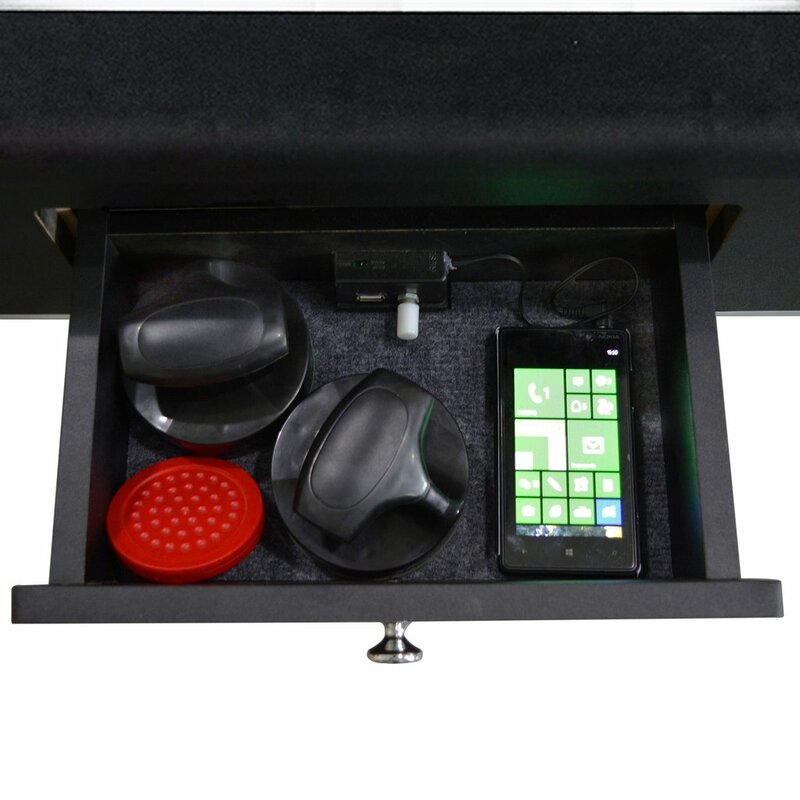 *Note: Docking station requires phone to have an audio jack to play music. For phones without an audio jack, a separate adapter is needed (not included) to use docking station.